Yet with the rapid expansion of aquaculture over the last decade, environmental concerns have been accumulating – the burning of fossil fuels, loss of land, immense use of freshwater and depletion of wild fish resources. The good news is that research by WorldFish shows that the environmental impacts of fish farming can be reduced while maintaining the productivity and profitability of the sector. This is vital for the millions of small-scale producers, particularly in developing countries, whose livelihoods depend on it. In Egypt, aquaculture is gaining importance as an affordable and nutritious source of animal protein among Egyptians. 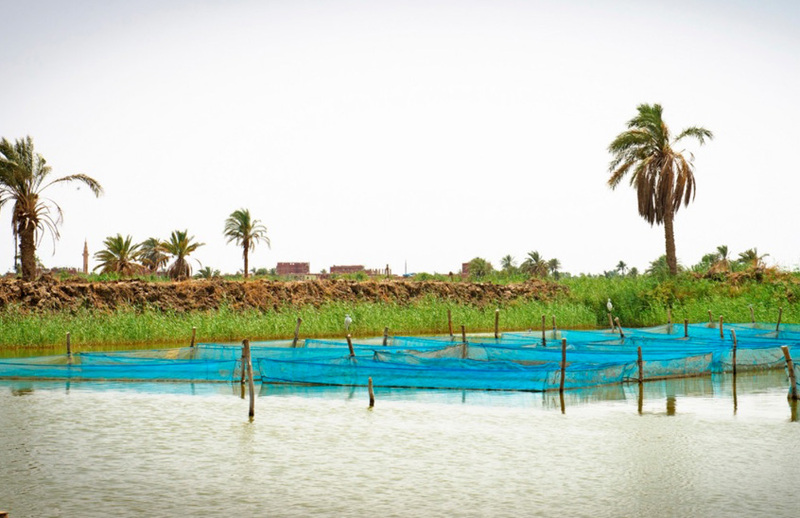 Farmed tilapia production now provides one fish per week for every Egyptian. Since 2011, WorldFish has worked to support the sector’s growth as part of the SDC-funded Improving Employment and Income through Development of Egypt’s Aquaculture Sector (IEIDEAS) project. Specifically, fish farmers have been trained in best management practices and given seed of the 9th generation of the Abbassa strain, a fast-growing strain of Nile tilapia developed by WorldFish. These activities, besides boosting fish farmers average annual income by USD 18,000, also helped to reduce the environmental impact of aquaculture. A 2016 study by WorldFish, as part of the AquaLINC project, found that use of the Abbassa strain helped reduce lifecycle environmental impacts by up to 36%. Use of best management practices also had a significant impact on reducing eutrophication (excess nutrients), acidification, freshwater consumption and land use. The reason for these improvements were farmers’ use of more efficient feed practices, therefore less feed was required, and higher productivity, resulting in more fish being produced in less time. Despite these gains, we found that more improvements could be explored. These include farmers’ use of improved feeds from sustainably-sourced raw materials, and better pond water management, including use of probiotics and paddlewheels. Such actions will help to further reduce the ecological impact of aquaculture, and assist tilapia farmers to cope with challenges around the financial viability of fish farming and poor water quality. The Egypt study was done using a life cycle assessment (LCA) approach. This is an environmental accounting framework that quantifies resource extractions and environmental emissions across a product’s lifecycle. Results from LCA link certain farming practices with specific impacts, showing various differences across systems and practices. One of the first uses of the LCA approach at WorldFish was the ground-breaking Blue Frontiers: Managing the environmental costs of aquaculture study in 2011, done in collaboration with Conservation International. The study aimed to inform policy makers about the impacts of aquaculture – eutrophication, acidification, climate change, land occupation, energy demand and biotic depletion. It was found that the impact of aquaculture varied greatly between species and production systems, and across countries and regions. For instance, inland pond culture and carp farming have the highest absolute impact, while bivalves and seaweeds place the lowest demands on the environment. For salmon, demand for feed causes significant impacts, whereas shrimp and prawn culture mostly contribute to climate change. 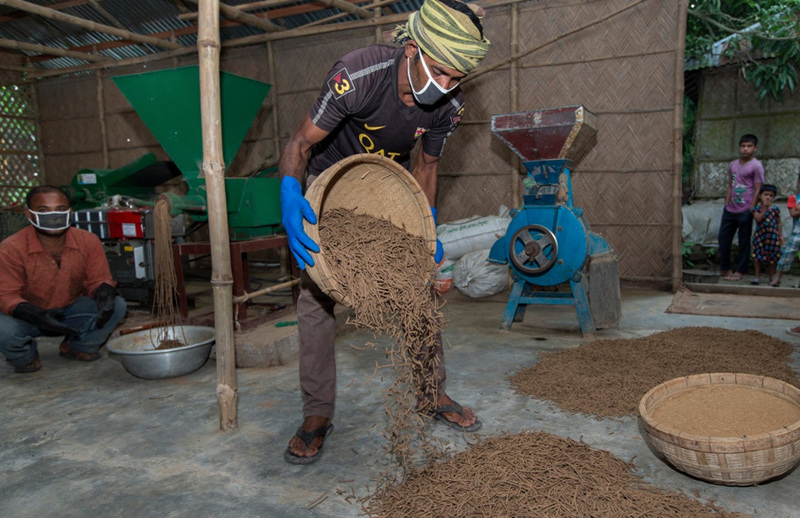 Producing fish feed in a factory, Jessore, Bangladesh. Photo by Yousuf Tushar. Another key finding of the study showed that fish farming performs well compared to other animal production systems. Products originating from aquaculture contribute less per unit weight to global emissions of nitrogen and phosphorus than pork and beef. Fish, as compared to either pork or beef, convert a higher percentage of the food they eat into consumable protein. Overall, these findings highlighted the need for innovations in feed technologies, better on-farm management, and appropriate siting of fish farms. This will reduce the environmental costs of aquaculture, while realizing the potential of the sector to contribute to food security in developing countries. Use of the LCA approach has also guided WorldFish’s advice to Indonesian policy makers about how the country’s aquaculture sector could sustainably develop in the next 10-15 years. In the 2015 Exploring Indonesian aquaculture futures study, WorldFish found that the current fish production targets set by the Indonesian government are near impossible to achieve. If realized, this growth would have devastating environmental costs. Three specific environmental challenges emerged – land was insufficient to support aquaculture growth, freshwater supplies would be strained, and the huge need for aquaculture feeds would deplete marine resources. To achieve socioeconomic growth while limiting environmental impacts therefore requires a significant transformation to sustainable farming practices in Indonesia. In particular, innovations in feed, land and water use are needed along with significant investment and change from business-as-usual approaches. It is increasingly recognized that aquaculture’s global growth is necessary to meet future food and nutrition security requirements. But this creates challenges for managing environmental impacts. 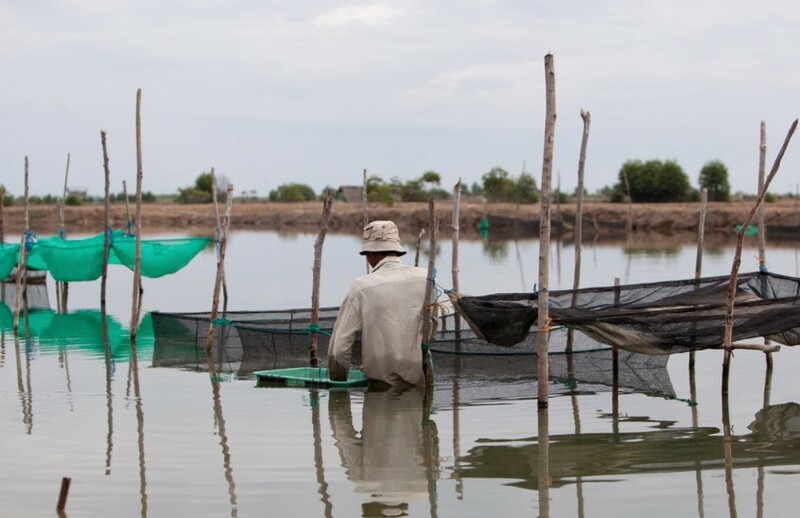 By using an LCA approach, WorldFish can better understand and minimize these impacts to develop and strengthen sustainable small-scale aquaculture in developing countries, where governance of natural resources is often weak. WorldFish also aims to include economic and social indicators alongside environmental footprint assessments. We thereby hope to promote equity along value-chains, along with environmental prosperity, to ensure the flow-on benefits of aquaculture are accessible to women, men and youth alike.